Last night, Eastman Kodak (EK) filed a motion to enter into a new financing for Supplemental DIP. There has been numerous reports in the last few weeks about the shape of this financing. This motion (embedded below) lay out all the details. 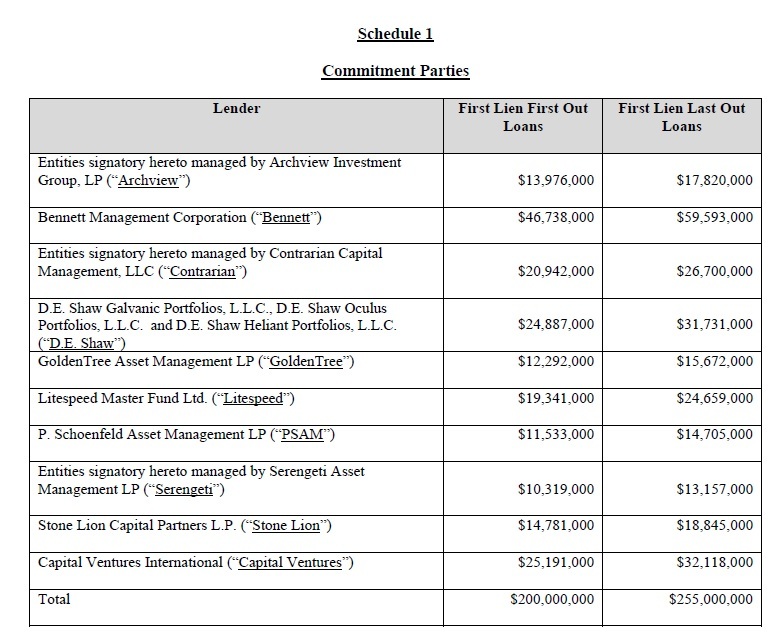 If you remember, EK had already received a commitment Centerbridge, GSO, JPM, and UBS, who collectively held $274M of the 2nd liens, to provide a similar financing. 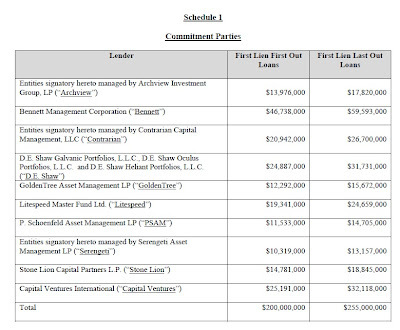 This is a "Who's Who" of distressed investors (The Steering Committee Lenders hold in aggregate $342M of 2nd liens). Defending this decision, the Debtors go on to note that the Steering Committee's financing will save them over $35M in fees / interest over the remainder of the case. In addition, and what I thought most salient was the permission of pro-rata participation in the roll-up provision of the financing by ALL second lien note holders. Roll-up provisions in financing are generally tricky. Depending on the case and judge, there can be situations where the roll-up option is only available to a select group of prepetition creditors. This is, more often then not, a windfall for these creditors as their once junior claim just hopped the ladder up in priority at the expense of junior creditors. The concept of new money and roll-up is coming to play in this financing. For instance, out of the proposed financing ("Proposed Supplemental DIP Facility"), only $455M of that is new, fresh capital. The balance is roll-up loans (one for one exchange for prepetition 2nd liens). The formula for how much debt is getting rolled up also changes from case to case. In the Blockbuster case, for every $2 of DIP you committed to, you got to roll up $1 of prepetition 2nd liens. In EK's case, there is a 6 page annex in the motion walking potential parties through the various scenarios that could play out. The term sheet of the new money junior DIP facility portends a juicy piece of paper: "The First Lien First Out Loans shall bear interest at the rate of L+9.5% per annum. The First Lien Last Out Loans shall bear interest at the rate of L+11.0% per annum. Both loans shall have Libor floors of 100 bps." The First Lien Last Out Loans also have 2 points of OID. In addition, similar to the original financing contemplated, there is a condition that EK sell its IP property as a condition of funding. Over the past few months, the 2nd liens have rallied substantially, driven by prospects of new money coming into the structure as well as more positive thoughts on the valuation of the IP assets (combined with a very recent MOR that showed cash burn has slowed). It remains to be seen what sort of equity ownership Kodak will emerge with. In other words, will the holdco bonds receive anything material? We will keep readers updated on changes to the docket as the case plays out.